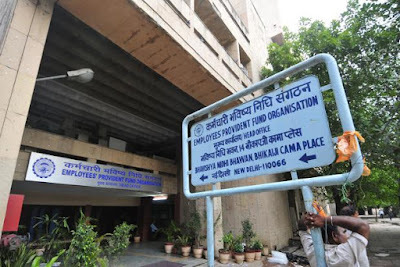 Government has finally enforced the decision of retirement fund body EPFO to almost double the maximum sum assured under its insurance scheme to Rs 6 lakh for its 4 crore subscribers. In September, Employee Provident Fund Organisation’s apex decision making body Central Board of Trustees (CBT) had decided to increase benefits under the Employees’ Deposit Linked Insurance (EDLI) scheme from Rs 3.6 lakh to Rs 6 lakh. However, the notification to amend the scheme could not be issued by Labour Ministry as it was stuck in the Law Ministry. “The notification to enhance EDLI amount has been issued. It (the maximum sum assured) has been enhanced from Rs 3.6 lakh to Rs 6 lakh,” Labour Minister Bandaru Dattatreya told reporters after launching a modernisation plan for National Academy for Training & Research in Social Security (NATRSS). Besides, he said, the decision to provide 8.8 percent rate of interest to over 4 crore EPFO subscribers for 2015-16 has also been notified. Some officials present on the occasion said however that they have not received the notification and are still settling the PF claims at 8.75 percent for 2015-16. 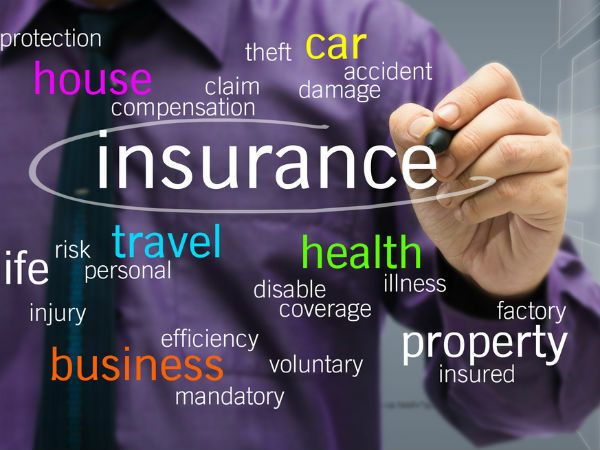 Insurance is a product that is usually sold, rarely purchased. People normally buy it when it is hard-sold by an agent. Very few make the effort to research the product themselves and buy the one they like best, as happens commonly in the case of investment products. 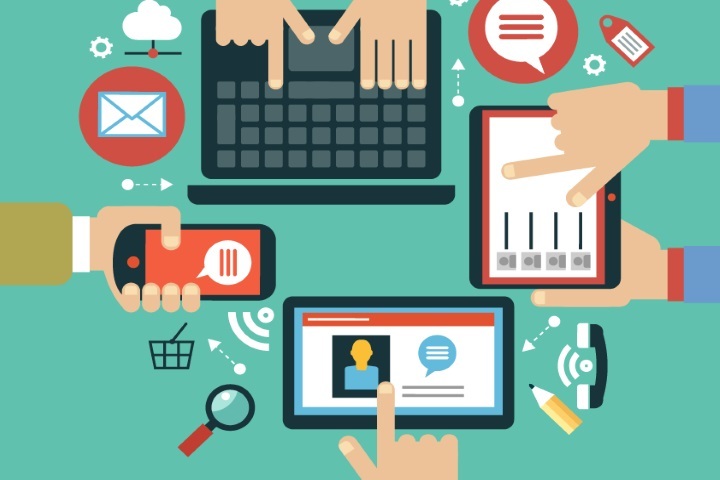 The more evolved buyers go to aggregator websites and compare premiums. While this number is important, especially in the case of term insurance, you should also evaluate a few others to get a holistic picture. Premium: When buying a term plan, the premium you pay is by far the most important number. "The product features and exclusions in term plans are all standardised. Hence, I would give a 60 per cent weightage to premium in my purchase decision," says Kapil Mehta, founder and chief executive officer, Secure Now Insurance Broker. The best places to look for premium rates are the web sites of insurers. While aggregator websites do give you premium rates of many players at one go, there is sometimes the risk that some of the lowest-cost players might be excluded. Besides premium, pay heed to payment structure in case of term insurers. Many now offer annual or monthly payouts to the family, at times even adjusted by inflation, a useful feature if money management is not your spouse's forte. Historical performance of funds: When buying a unit-linked insurance plan (Ulip), the historical returns of funds should be your primary criterion. In the case of Ulips, going with an older company can work to your advantage, as longer-term data on fund performance will be available for it. The Morningstar India website is one resource you could turn to for this information. It offers comparison of the fund's performance vis-a-vis the category average. The fund's rank within the category is also provided. Persistency: It tells you the percentage of policies sold by an insurer that continue to be in force after a certain period (one year, two years, etc). If a company has a higher persistency number, it indicates that it sells products that people are comfortable in holding. This data is available in the Handbook on Indian Insurance Statistics (go to Irdai's home page/Reports/Handbook). Claim settlement ratio: This tells you the number of claims settled by the life insurer vis-a-vis the total number of claims received. Aggregate data on the industry is available in Irdai's annual report. While Life Insurance Corporation (LIC) settled 98.2 per cent of claims in 2014-15, the private players settled 89.4 per cent. The sector as a whole settled 97 per cent of claims made (by number of policies). However, data from the Handbook says that only 90.9 per cent of claims by value were settled. Speed of claim settlement: Delay in claim settlement can be a major headache for the near and dear ones, hence it is important to go with a player that settles claims faster. Size: When buying a traditional plan, go with a bigger company. Information on business in force is available for individual companies both by number and value of policies in the Handbook. These numbers can provide another crucial insight. Since life insurance is an important purchase, do spend a few hours on the internet doing the necessary research to get this decision right. Premiums of insurance are expensive is a myth! Nothing can cost you more than your own or a dear one's life! You may have often thought, " I will buy a bike for myself, the moment I get my first job". It could be a bike or anything else that you may have nursed a desire to own. But it would certainly not be an insurance product. Right? Experts say that one should never defer the time to get an insurance cover for life. If not after the first job, do not defer it beyond your marriage, or once have a child. The older one would get, higher the premium would become. Shed this notion, " Nothing will happen to me!" The second important point to remember is, do not link your life insurance with your your investment needs. Your decision to purchase a policy should be on the amount of premium you can pay, and not on the returns that you will get. There is no point in paying very low premium while hoping to get some long term return, which may amount to nothing in the long run, as inflation would eat up most of it. You will only adding to the kitty of the insurance agent. These days there are options to buy insurance online as well. Your first policy should only be a term insurance and never a unit-linked plan. The sooner you begin investing in a pension product the better it would be for your future needs, which you may not identify at the age you may be in currently. Just like homes, cars and mobile phones, you can purchase health insurance through equated monthly installments (EMIs). Future Generali India Insurance and Reliance General Insurance have launched products that offer premium payment through EMI. It is a good option for those who would like a higher sum assured, but cannot afford to pay the premium at one go. However, customers must keep in mind certain conditions. For instance, the total premium in case of EMI will be higher as compared to paying the entire premium upfront. Also, the facility is available only for sum assured above a certain amount and in some cases for longer-term policies. Also, you will also lose out on the discount you would have got in case you paid the premium for a longer-term policy at one go. Future Generali offers the EMI option for policies with sum assured of Rs 3 lakh and more. The loading of premia for EMI options is as follows: three per cent for half yearly, four per cent for quarterly and five per cent for monthly options. As against this, in case of a three-year policy, the discount is 10 per cent if you pay the premium up front and in case of a two-year policy, it is 7.5 per cent. So, if you opt for a three-year policy and choose to pay monthly EMI, you end up paying 15 per cent higher premium as compared to paying the entire premium up front. 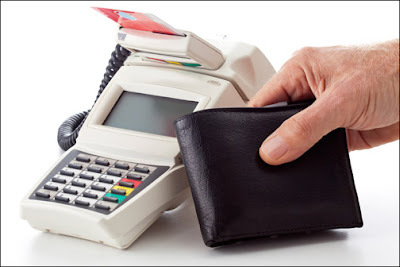 Earlier, customers who wanted higher sum assured, but could not afford the high premium used to pay through credit card and pay credit card dues through EMI. However, this is expensive as interest rates on credit cards are high. In case of Reliance, the EMI option is available on both one and two-year policies, which have sum assured of Rs 3 lakh and above. The EMI option is available on a quarterly and half-yearly basis. In case there is a claim before the entire EMI is paid, the remaining EMIs for the year will be deducted before the claim is paid. Assuming you opt for the monthly EMI option of Rs 2,000 a month and you make a claim of Rs 2 lakh after paying EMI for eight months, the EMI for the remaining four months, which is Rs 8,000, would be deducted from your claim amount of Rs 2 lakh. Over-the-counter (OTC) products might soon become a reality in the insurance sector. Sources said the regulator is giving final touches to rules in this regard which could be issued in the next few weeks. Once done, insurance companies will be able to sell simple products without lengthy forms or documentation. Presently, a product is first designed, priced and then sent to the regulatory body for approval. Once satisfied with the broad contours, the regulator approves. In the recent past, the Insurance Regulatory and Development Authority of India (Irdai) has said commercial products in general insurance may be sold under File and Use procedures, the term for an insurer being permitted to market a product without its prior noting. This could soon be extended to life insurers, said sources. The segment has started to design products that are simple, so that these can be sold as OTC ones. Complex products like unit-linked insurance might not be allowed to be sold OTC, as they are difficult to understand. Pure term or endowment policies could be sold freely if the regulations permit. File and Use require the products to be necessarily filed with the Authority before these are marketed. In guidelines on product filing for general insurance companies, Irdai said all retail products (including their modifications) shall first be filed with it. India stands 15th globally with respect to premium income, in Swiss Re’s sigma study. This is because insurance penetration, measured as a percentage of premiums to a country’s gross domestic product, has been on a constant drop in India. The study says insurance penetration fell to 3.3 per cent in 2014-15, from 3.9 per cent in FY14. This has been the lowest since 2005-06, when penetration was 3.14 per cent. It is anticipated that a number of smaller touchpoints will be activated like medical stores, grocery stores and petrol pumps from where OTC products can be purchased. This would not require any special training for the staff, except basic training in the concept of insurance and broad product categories.